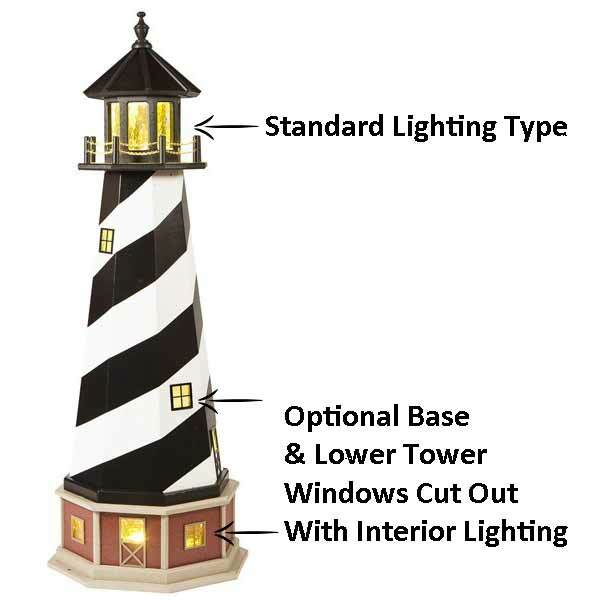 Our Amish handcrafted poly outdoor lighthouse replacement top is a maintenance free product, built to last a lifetime. Poly does not rot, splinter, crack or fade and never needs painting. It is an enviromentally friendly product made from recycled material. Why choose poly over wood? Poly is heavier and more durable than wood, it is made to endure extreme weather conditions. 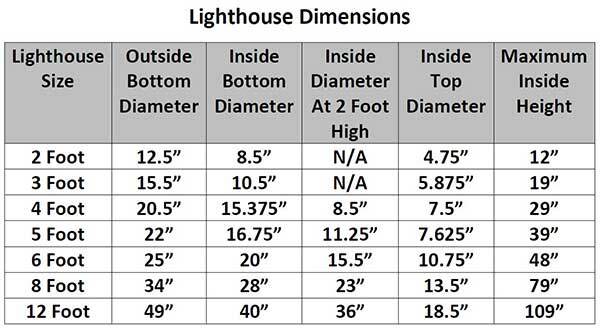 Comes equipped with standard electrical lighting with a 25-watt bulb, other lighting options are available.